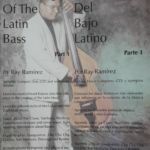 Have you ever listen to a great Salsa/Latin music bassist and wonder, What’s he doing there?, How is thas written? Now you can learn all that. 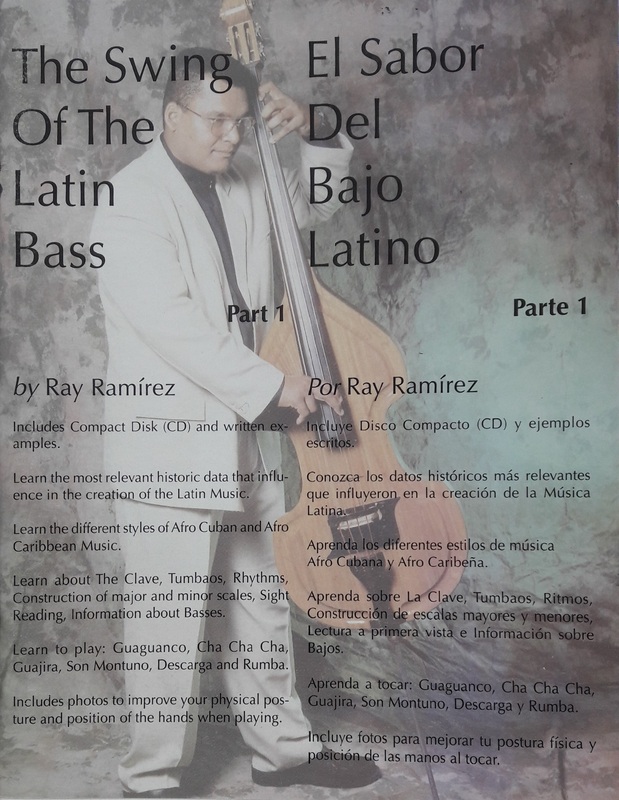 The Swing of The Latin Bass” is a practical and systematic hands-on Workbook/CD which enables you to learn, practice or improve your approach to playing Salsa/Latin music. You will study and learn the origin and style of the: Guaguancó, Son Montuno, ChaChaCha, Guajira and Descarga o Rumba. Each exercise includes the written notation plus the chord progression to help you follow the music while listening to the recorded examples. The Workbook/CD can also help you in the creation of your own Tumbaos and sight reading. Each progression includes examples that range from basic to more complex bass lines. You’ll hear Ray Ramírez playing the exercises and you get a chance to play each exercise with the same rhythm section, without the bass track. The photos included will improve the way you play your instrument as well as the posture of your body and right and left hands position. Excellent for both classroom and individual study. All the examples in thew CD have been recorded using the Caribbean Series Electric Upright Bass.